Nice afternoon means having relax after a long and exhausting day, with the cup of coffee and favourite magazine, book or newspaper. Nothing is more perfect for this moment of loneliness but the homely corner, where we can read. That’s why, Shioconcept company has proposed bio fire Social, which allows to create at home such our own, pieceful place for reading. This model is a combination of bioethanol fuel tank, functional coffee table and place for reading. The construction is made of enamelled steel and one side is formed like a newspaper holder, where we can keep the magazine and newspapers we are reading at the moment. This very useful device allows to keep the tidiness, having all the newspapers and brochures, so often strewn around, in one place. 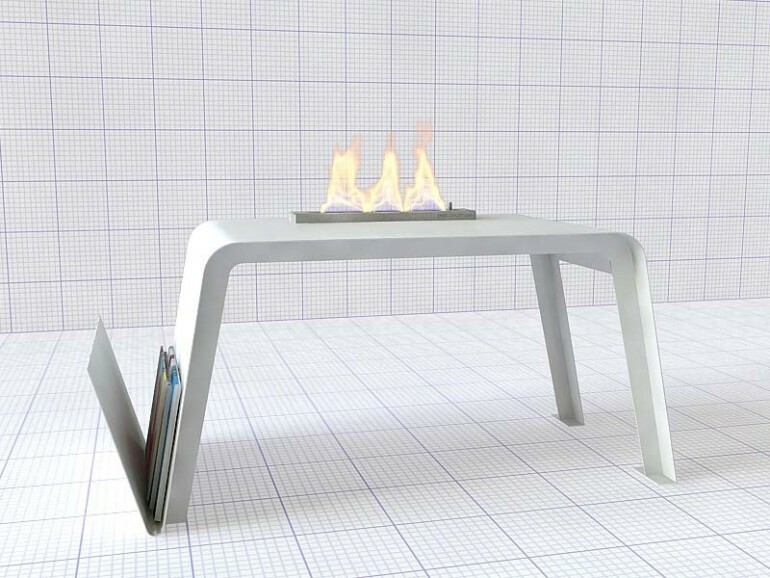 Bio fire’s design has very modern and minimalistic form, that perfectly matches to modern interiors. Previous articleBio fireplace – How to choose fuel for bio fire?